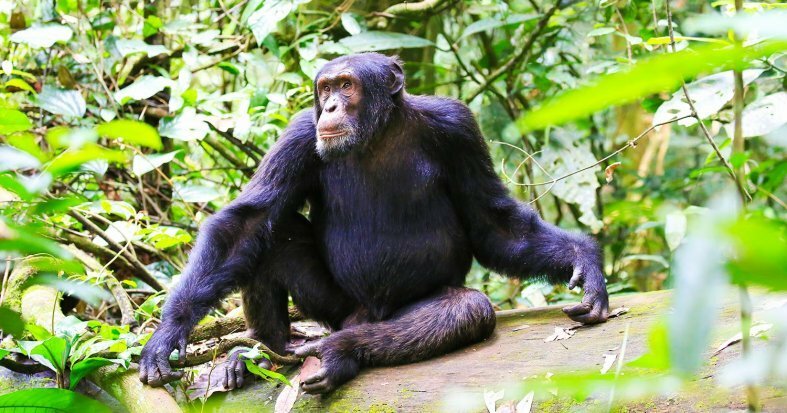 Start your adventure in Kampala, the capital, before heading out into the lush evergreen rainforests of Kibale National Park to track Chimpanzees and admire the untouched natural beauty of the region. Enjoy exceptional game-viewing in Queen Elizabeth National Park and Lake Mburo. 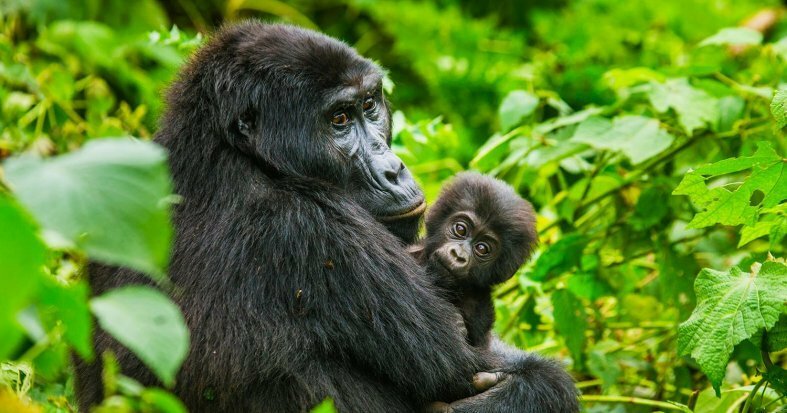 Venture into the magical Bwindi Impenetrable National Park, to discover the endangered Mountain Gorillas. International flights: US - Entebbe - US. 7 Breakfasts, 6 Lunches & 6 Dinners. 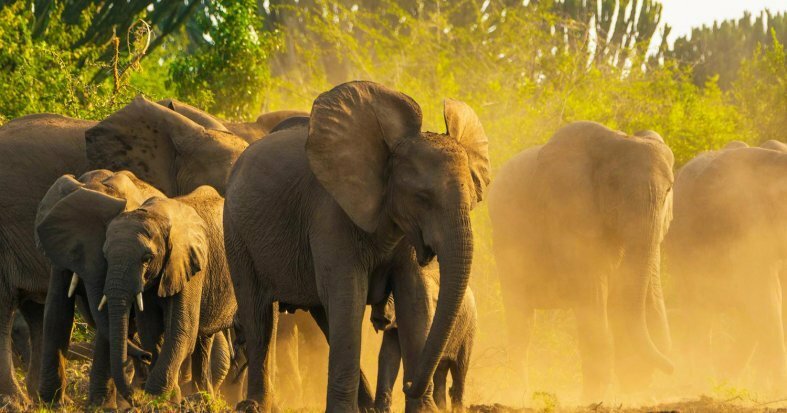 Transfers and Safaris with an English speaking guide. Transportation in a safari-customized 2WD Toyota Hiace Minivan. Visa (required), departure taxes ($40), drinks, tips and any other services not mentioned in what's included. Arrive at US departure airport ready to check-in for a flight to Entebbe. Night on board. 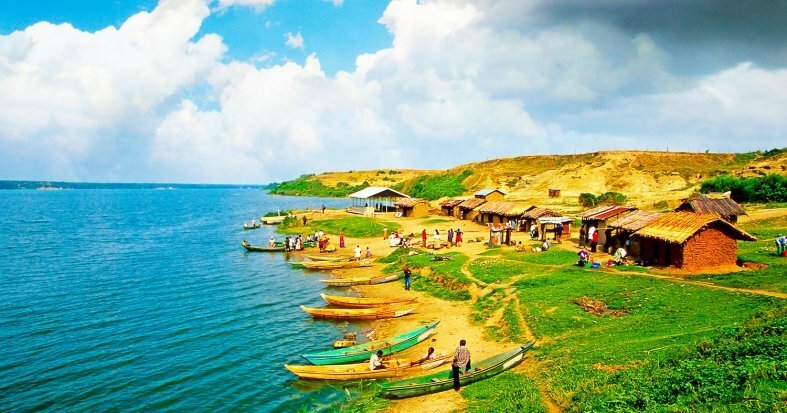 Arrive at Entebbe, situated on the Lake Victoria peninsula in Central Uganda. Meet your representative and transfer to the Lodge, near the capital, Kampala. The rest of the day is at your leisure to explore your surroundings. Overnight stay in Kampala. Breakfast at the hotel. Set off by road towards Kibale Forest National Park, in the foothills of the Rwenzori Mountain Range, and home to more than 13 species of primates including Chimpanzees and Colobus Monkeys. Lunch at a local restaurant in the pleasant town of Fort Portal. Arrive at Kibale Forest in the later afternoon. Dinner and overnight stay in Kibale. Breakfast at the lodge. In the morning register at the Park Offices and begin an exciting Chimpanzee Tracking Excursion. 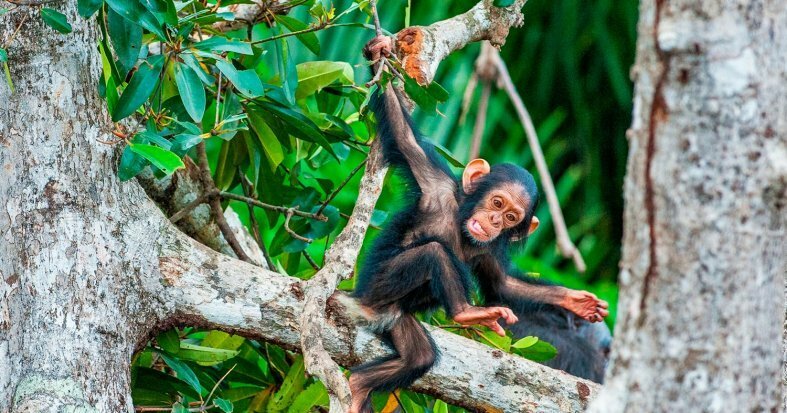 Go in search of man's most genetically similar animal, and begin with a trek through the rainforest until you make the first sightings of the Chimpanzees. Watch as the group go about their daily activities such as feeding, climbing, raising their young and noisily interacting with each other, while enjoying informative insights from your expert guide. After, return to the lodge for lunch and in the afternoon head to Queen Elizabeth National Park. Arrive in time for dinner. Overnight stay in Queen Elizabeth National Park. 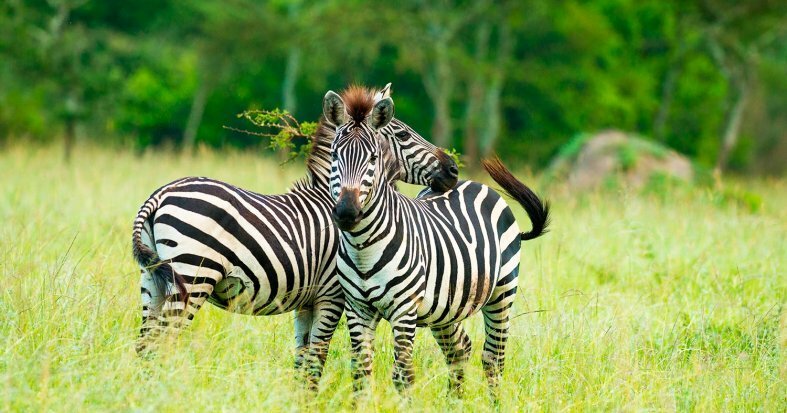 Set off early for a sunrise game drive in Uganda's most popular national park for the best chance of spotting the abundant wildlife of the region including lions, buffalo, elephants and nocturnal animals such as hyenas and leopards, with the beautiful soundtrack of morning bird song to accompany you. Return to the lodge for a late breakfast and relax at your leisure. Lunch and then set off for an afternoon Launch Cruise on the Kanziga Channel, famous for its hippos, Nile crocodiles and buffalo. Dinner and overnight stay in Queen Elizabeth National Park. Breakfast at the lodge. 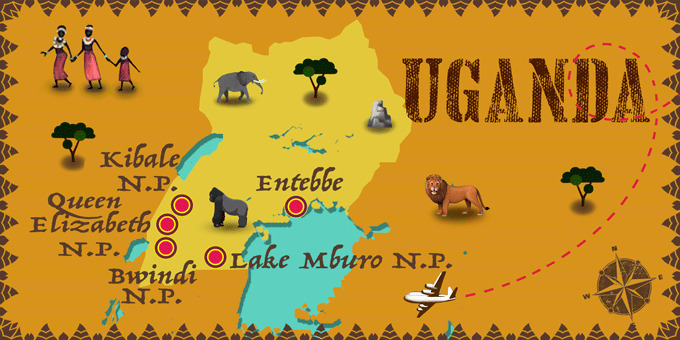 Drive south through the Ishasha area, famed for its tree-climbing lions, towards Bwindi Impenetrable National Park. Stop for a picnic lunch en-route, all the while admiring the spectacular natural landscape. 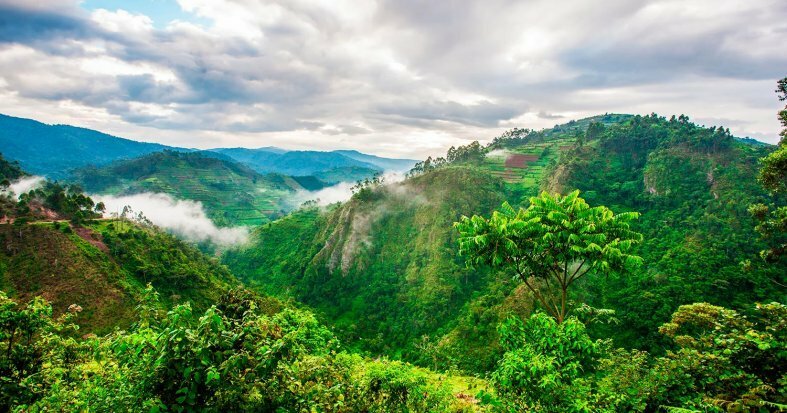 Continue to Bwindi, the iconic national park home to the elusive and endangered mountain gorillas. 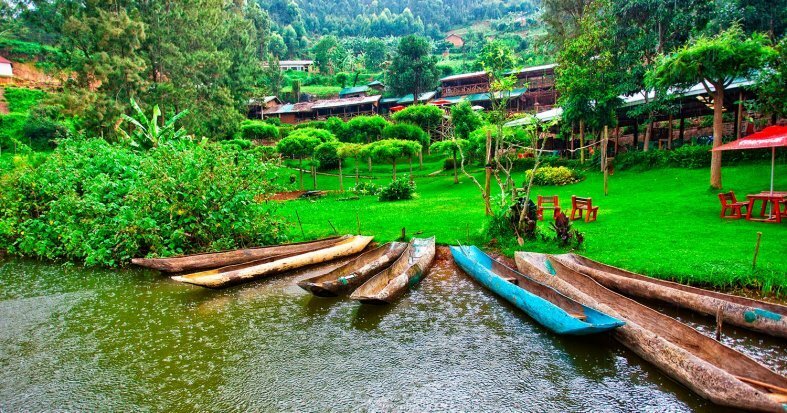 Arrive at the lodge and enjoy dinner and an overnight stay in Bwindi. Early breakfast at the lodge and set off to the Park Offices to register for your exciting Gorilla Tracking Excursion. 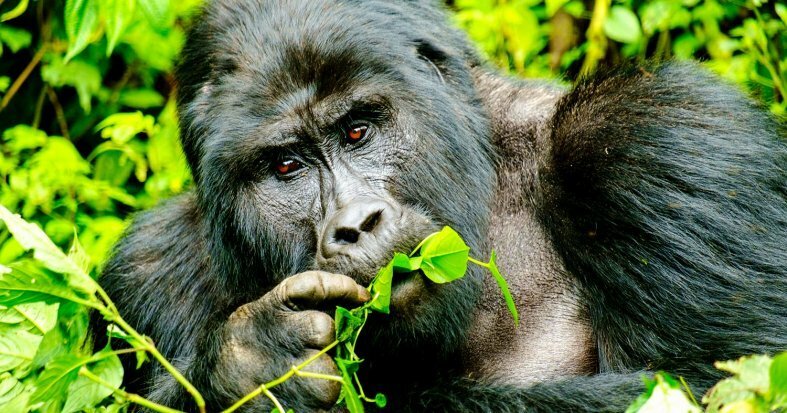 Be assigned a particular family of Gorillas and head into the magical rainforest, abundant with colorful bird, butterfly and animals species, until you finally reach the group of Gorillas. Watch in awe as these majestic animals go about their daily lives, grooming, feeding and interacting with each other. It is an unforgettable experience to see Gorillas in the wild. Trek back to base and return to the lodge. Dinner and overnight stay in Bwindi. Breakfast at the lodge. 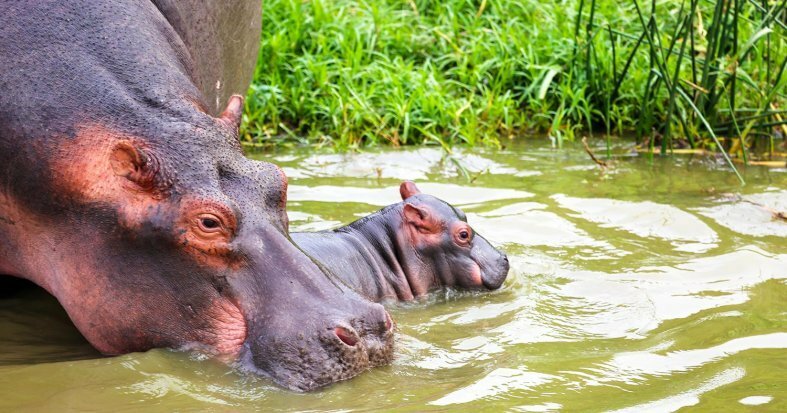 Leave Bwindi and drive towards Lake Mburo National Park, situated on the border of Tanzania and how to various species of savannah animals including lions, hyenas, zebras and giraffes, as well as water-loving animals such as hippos and crocodiles who can be found by the lake. Enjoy lunch en-route and fantastic game-viewing as you make your way towards Rwakobo Rock Lodge. Arrive in time for dinner. Overnight stay in Lake Mburo. Start the day early with a Bush Walk, accompanied by a specialist park guide, to get up close to the wildlife. Return to the lodge for breakfast before departing back to Entebbe. Lunch en-route before transferring to the airport for a flight back to the US. Night on board. Accommodation at the hotels is as indicated. In the event of any changes to accommodation, they will always be of the same or a higher category. The category of hotels is not standardized across all countries in the world. For this reason, the criteria may differ depending on the destination country's own standards.